A biochemistry professor at New Mexico State University, Carol decided to write for something to do after her kids went off to adulthood. 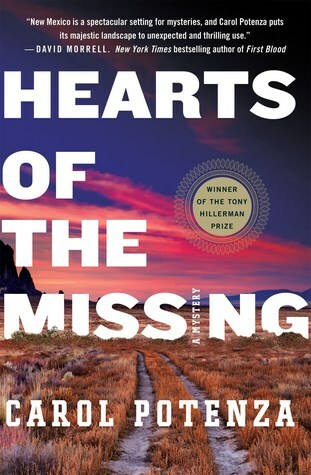 Hearts of the Missing is her debut novel. It won the Tony Hillerman Prize in 2017. She keeps busy teaching biochemistry and writing the next book in the Nicky Matthews series which will always include (1) science twisted into science 'fiction', (2) some paranormal because a number of her relatives are 'sensitive' (she is not) and have GREAT ghost stories that she weaves into the fabric of her books, and--of course--(3) murder.